Working with the right property manager is one of the most challenging duties of a condominium corporation's board of directors. Many board members bemoan the fact that they don't have open communication with their management firm, which in turn impacts their ability to properly serve the unit owners. There is an enormous need for transparency in the way that property managers deliver services to boards of directors. This needs to be an open process, with the management responding quickly and effectively to all questions or concerns. The firm also needs to clearly outline all of the costs associated with maintaining a property, including the use of outside contractors. Unfortunately, this is an issue when condominium corporations work with many property management firms, some of which are notorious for hiding invoices and costs while up-charging or insourcing services in order to make more money for themselves. Rather than managing the condominium property in the best interests of the board and unit owners, these companies do whatever they can to cut corners and charge more for their services. The team at Imperial Properties believes in taking a different approach. Under its model, management fees are the only revenue collected by the company, and all other services are tendered using a transparent process involving the board of directors. This keeps board members and unit owners completely informed into what is going on at the property, while assuring the best quality and value for the condominium corporation. In fact, Imperial Properties is known throughout Winnipeg for the high level of transparency it provides clients, especially boards and unit owners. The company accomplishes this through its online web portal, which offers open communication between the property manager, board members and unit owners. Conversely, the board of directors needs to be transparent to its stakeholders-the unit holders. This is also made possible by Imperial Properties' web portal, which allows boards to communicate regularly with residents and keep them updated on any projects or issues at any particular property, as well as what is being done to address the issues. This is of great value to unit owners, who always appreciate knowing that they are getting the most out of their investment. 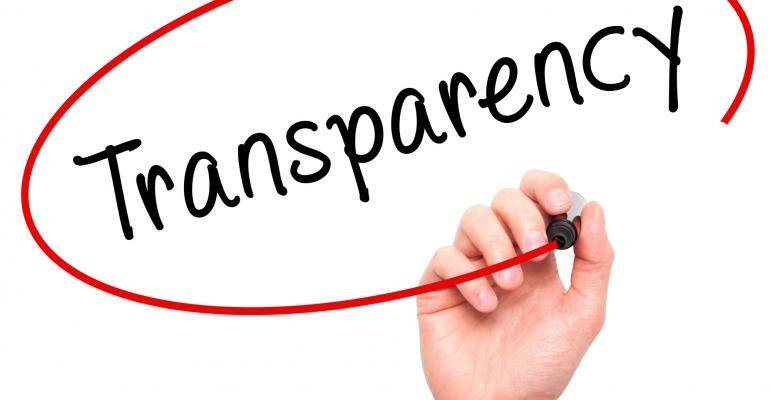 A lack of transparency is one of the most common reasons why condominium corporations seek new property managers. This may stem from boards not getting what they need from the property management, or from residents complaining that the board is not responsive to their needs. Either way, a transparent property management firm like Imperial Properties represents a clear solution to these challenges, with improvements in communication noticeable immediately. Our focus on transparency is not just a marketing message for us-it's part of our company culture. We will continue to leverage technology, including our web portal, in our effort to remain open and straightforward as we manage some of the most beautiful condominium properties in Winnipeg and Regina. To find out more about our service and how we may be able to be of service please contact us.